A new development in the Amazon vs. Macmillan fiasco. Amazon just posted an announcement indicating that will be “capitulating” to Macmillan by selling the publishers’ books for their desired prices. 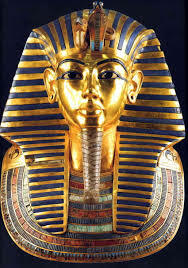 CAIRO -- Egypt will soon reveal the results of DNA tests made on the world's most famous ancient king, the young Pharaoh Tutankhamun, to answer lingering mysteries over his lineage, the antiquities department said Sunday. Intel and Micron plan to unveil new 25-nanometer flash memory chips on Monday via their IM Flash Technologies joint venture, the first commercial chip products made using advanced 25nm manufacturing technology. Informatica has purchased MDM vendor Siperian for $130 million. You have to love DigiTimes and those loquacious sources it seems to keep finding. The latest word from the Taiwanese grapevine suggests that both Intel and AMD will be bringing out six-core CPUs to the consumer market by the middle of this year. We're using the term "consumer" rather loosely here as Intel's first Gulftown chip is expected to be priced north of $1,000. 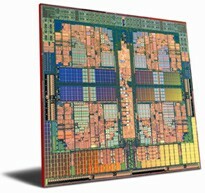 The Core i7-980X is slated for a March release, which just fits inside the Q1 window that earlier rumors had suggested. If you butter your bread on the AMD side, you'll have to wait a while longer as those 45nm Thuban chips -- herafter to be known as the Phenom II X6 1000T series -- won't be landing until at least May. The usual caution when dealing with anonymous sources is advisable, but this sounds like a roadmap with a high likelihood of being accurate. Amazon's famously kept mum on Kindle sales figures, only commenting that they sold more Kindle ebooks than physical books during Christmas. While specific figures weren't mentioned, CEO Jeff Bezos boasted yesterday that "millions of people now own Kindles." With its acquisition of Sun Microsystems complete, Oracle intends togo after Microsoft's lucrative Office franchise, the company revealed yesterday. Software giant benefits from improving personal computer sales and the recent release of its flagship Windows 7 operating system. Some companies have sales. Others let you pay next year at low interest or offer a money-back guarantee. All kinds of sales incentives are out there making business work. Hitachi Data Systems, in a bold step to separate itself from competitors such as EMC, NetApp, HP and IBM, on Jan. 28 announced one of its own: It will now guarantee its customers a full 50 percent reduction in their storage capacity if they use the company's virtualization software.